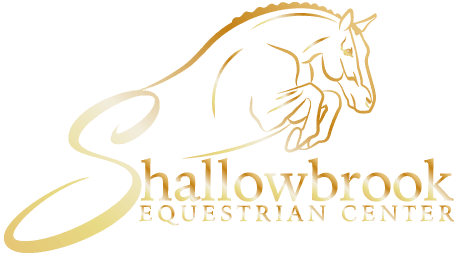 Shallowbrook Summer Series at Shallowbrook Equestrian Center is a 5 show series with season end awards! You must show 3 of the 5 shows to qualify for season end awards. Short Stirrup / Long Stirrup Hunter 18"
Green Horse Hunter X Rails 18"
"Most enjoyable and organized show series we've been too..."
"I cannot say enough good things! We have been attending the Cabin Fever Schooling Series and have been so impressed! It has been such an honor to show in such a large indoor with world-class class footing and spacious holding area so close to home! Indoor schooling ring outside of the main ring but still attached, ample parking, huge bleacher seating area, cozy warm room with a fireplace, many staff who are helpful and welcoming, management who is fair but accommodating, calm and fun environment for spectators and exhibitors......."
"Wonderful management... accomodating facility... "
"Super awesome shows! Quick and organized:) staff is wonderful..."
"Your team is doing a great job of expanding opportunities for the kids....."